Am I the only one who feels like hitting “send” on an email that doesn’t contain at least one exclamation point is basically equivalent to firing off a virtual middle finger to the recipient? Frankly, I doubt it: Constantly feeling the need to be “nice” in the workplace is a compulsion with which women are intimately familiar—experts and science say so. In can manifest in many ways, like, say in emails with excessively enthusiastic punctuation or in some other form (like emojis, a syrupy sign-off, or by using qualifying words like “just”). Regardless, it’s time to scrutinize the psychological reasons we gas up all our outgoing messages. “Women are often conditioned to value relationships and protect them,” says psychologist Aimee Daramus, PsyD, pointing to oxytocin, a chemical women tend to have more of than men that’s connected with the warm feeling derived from nurturing and being nurtured. 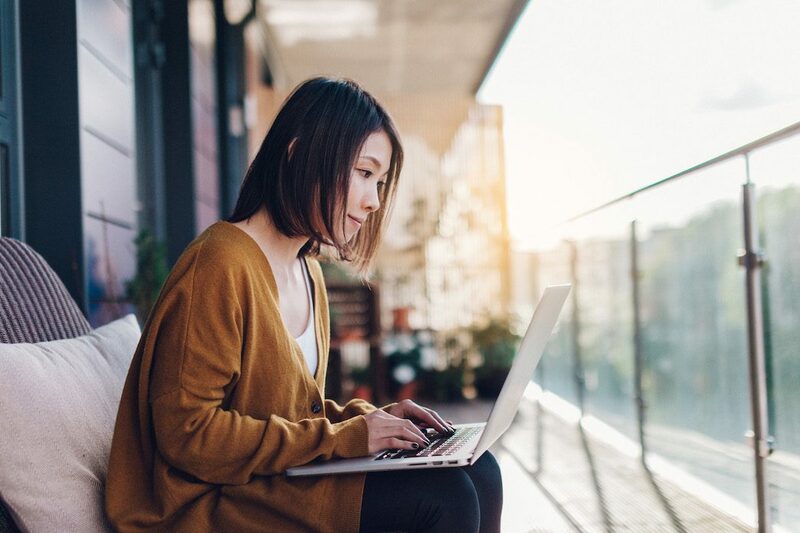 Many women grow up in an environment that socializes them to be caretakers, Dr. Daramus says, and whether or not we realize it, fluffing up emails is a way to offer care for whomever’s on the opposite end of the conversation. There’s another factor at play here, too. While staring into a screen, we don’t get the luxury of using tone or facial expression to convey what we’re trying to say. And thus, we often feel that our words need to do the legwork that a smile or a sarcastic undertone would accomplish IRL. “Maybe we ‘over-nice’ to make sure that our words don’t come across more harsh than we meant them too. When you’re not feeling ‘chirpy,’ you might feel the urge to make sure the other person doesn’t misinterpret that,” says Dr. Daramus. 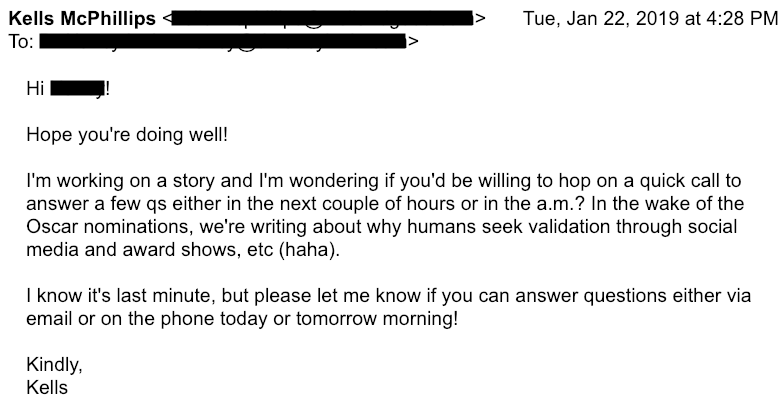 Shall we review an email of mine as an example of said performative chirpiness? Phew. I’m mentally fried after analyzing this whole correspondence, and this is one of my tamer messages when it comes to chipper punctuation. But as Dr. Daramus emphasizes, I’ve been socialized, as a woman, to communicate this way. It’s simply a habit, and if you feel like you when you add in a smiley face or two to an email thread, more power to you. If you’re hoping to tone down some of your surplus zeal though, Susie Moore, life coach and author of What If It Does Work Out? has a few thoughts on how you can start. After that, you can plunge right to the point of the email without worrying that you’ll come off as extra! excited! about! absolutely! everything! or like a soulless automaton clacking away at a keyboard. “Most importantly, don’t overthink it. Business and communication are a big part of life, so it’s cool to be friendly and light. Just don’t waste too much time worrying!” Moore says. We know the secret to getting your boss to answer your message, stat. Plus, what happens when you take your work email off your phone. (Spoiler alert: It’s amazing). This May Be The Best Type Of Fiber For Weight Loss. Here’s How To Get More In Your Diet.